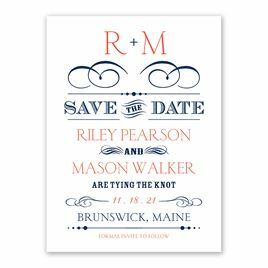 The modern appeal of typography is combined with a touch of vintage flair, blending two distinct styles into one very trendy save the date. 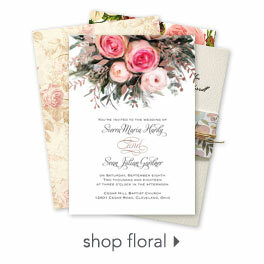 Personalization Options: Select wording and design elements are printed as shown in your choice of color. Your details are printed in your choice of colors and fonts.